Caustic esophageal stricture. EBSCO DynaMed Plus website. Available at: https://www.dynamed.com/topics/dmp~AN~T114901/Caustic-esophageal-stricture . Updated August 8, 2014. Accessed August 14, 2018. 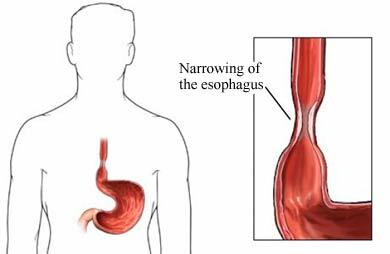 Gastroesophageal reflux disease (GERD). EBSCO DynaMed Plus website. Available at: https://www.dynamed.com/topics/dmp~AN~T116914/Gastroesophageal-reflux-disease-GERD . Updated September 14, 2017. Accessed August 14, 2018.